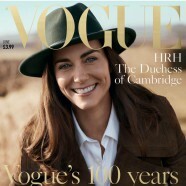 The Duchess of Cambridge is Vogue UK’s June cover star. Marking her first-ever magazine cover shoot for British Vogue’s centenary issue, the casual countryside shoot was photographed by London-born Josh Olins. It was styled by Lucinda Chambers, one of the magazine’s senior style directors. On the cover, Kate glows in a charcoal brown coat and shirt by Burberry, and a wide-brimmed hat from London vintage shop Beyond Retro. In a second color photo, she Kate wears a striped Petit Bateau t-shirt, and navy pants by Burberry. The 10-page spread of the 34-year-old royal was shot back in January in the Norfolk countryside where the Cambridges live. 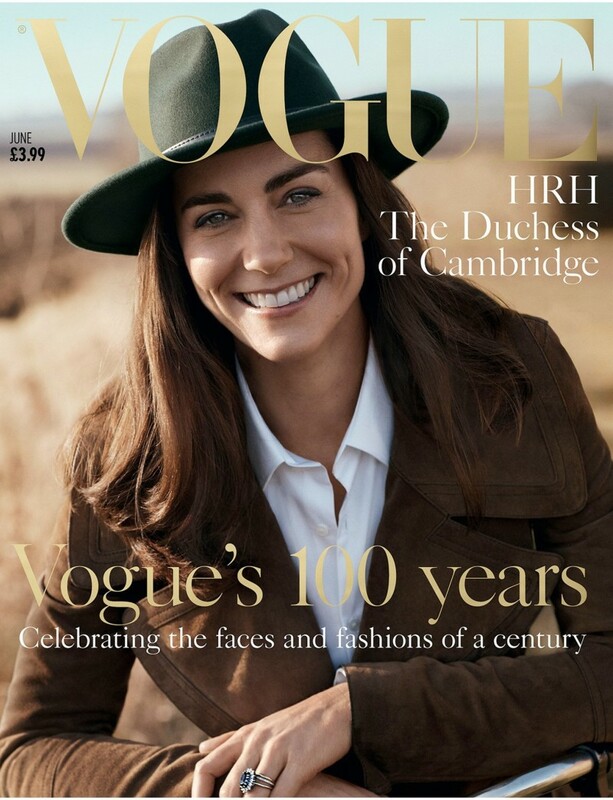 ‘It’s a huge honor and incredibly exciting for us to have HRH The Duchess of Cambridge featuring on the cover of British Vogue and as part of our centenary issue,‘ said Vogue editor-in-chief Alexandra Shulman on working with the Duchess. Two of the images from the shoot are on display at London’s National Portrait Gallery as part of the Vogue 100: A Century of Style exhibit which features some 280 archival images from Vogue UK. 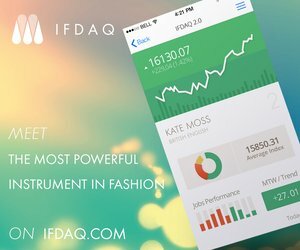 Check out some more images from the editorial below and sound off on twitter @fmd1_com using the hashtag #lovefmd.